Simikot Kailash Tour is one of the most sacred sites for the pilgrims all around the globe. 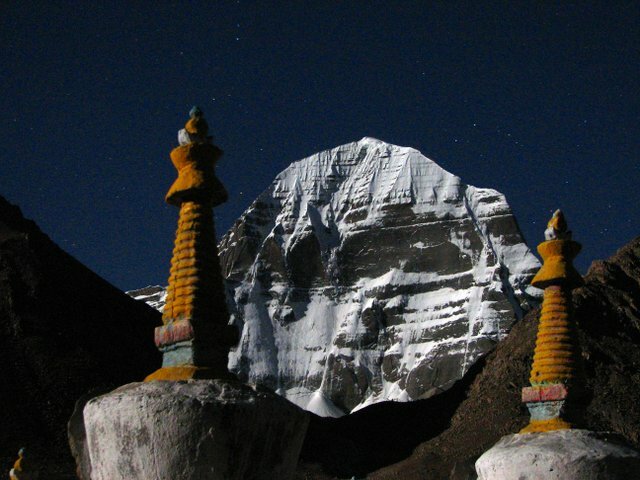 Mt Kailash is the highest peak in the Kailash Himalayan range situated in the southern part of Tibet. This trek is a famous pilgrimage tour since it is believed to have been dedicated to the Hindu deity Lord Shiva and worshippers from all around the globe come to visit the holy place. The mountain was formed about 30 million years ago and it now holds a significant importance as it is a religious site for both Buddhism and Hinduism. The unspoiled nature-culture provides a distinctive style of trekking experience via Humla valley that leads us to Tibet’s most sacred Mount Kailash Region. The less traveled routes take us to a border of Tibet passing through the remote western region of a hidden valley alongside Karnali River. Simikot Kailash trek starts with the arid experience of Tibet through lush green forests following a pleasant trail through beautiful valleys and villages that offers us a remarkable Buddhism culture of Humleli people. The trail terminates at Hilsa, the border town of Nepal from where we begin the overland journey to the west, walking alongside the Zangpo River surrounded by the mesmerizing views of the stunning high passes that leads us to Mt. Kailash region. 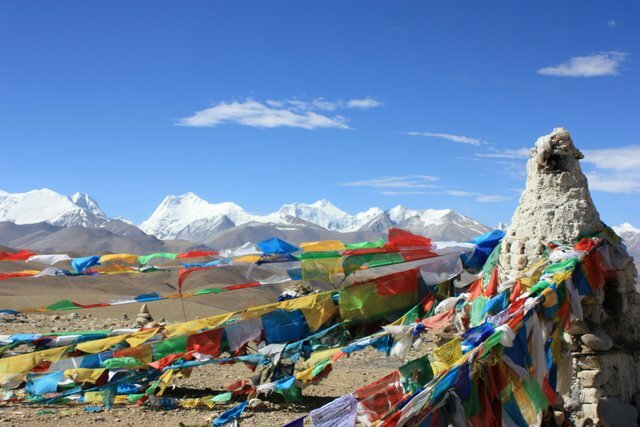 We walk through the non-tourist trekking zones in Nepal, winding up through the flattering prayer flags, enchanting peaceful stupas, historical monasteries and the highlight of this trek, Lake Mansarovar. Lake Mansarovar is a renowned and sacred pristine lake in which pilgrims from all around the world come to take a holy bath which is believed to erase all their sins that they have committed. After exploring the Lake Mansarovar, we continue our Simikot Kailash tour making our way to Darchen, the 3 days Holy Kora/ Parikarma starting point. The Kora lies at a distance of 53 km and involves crossing an amazing pass known as Drolma la pass at 5600 m. A night of acclimatization here gives you an opportunity to experience the lifestyle of the local people, spending a night at the mud houses or a fixed tented camp. It also gives you a chance to roam around the area and visit monasteries that holds a significant importance to the Buddhist culture. We will climb up the trail alongside many Indian pilgrims and Tibetan devotees who come to visit the holy place. We drive over to the arid plateau of Tibet and cross the border driving back to Kathmandu. In case the border is closed, we continue our drive from Saga to Lhasa via Shigatse to catch our flight back to Kathmandu. The climb is filled with joy, picturesque villages, mesmerizing landscapes and rich culture. This beautiful journey gives the trekkers an opportunity to enjoy the majestic beauty of both Nepalese and Tibetan landscapes. Day 03: Fly from Kathmandu to Nepalgunj. Alpine Eco Trek highly suggests you to apply for Medical Insurance, covering emergency evacuation and all medical expenses are must for Simikot Kailash Tour. So, please be insured prior to the holy journey to the Heavenly Abode of Lord Shiva. Meals during your stay in Kathmandu are provided in package at the same hotel where you stay. Meals during the journey will be all vegetarian. Alpine Eco Trek's staff will serve you hot and delicious meal at every day breakfast, lunch and dinner on the way from Simikot to Hilsa and in Kailash Tour. We will provide you packed lunch while doing trekking from Simikot to Hilsa and Kora around Mount Kailash. And, we also suggest you to bring some of your favorite dry foods, sweets and ginger and garlic Candies along the tour. We will provide transportation for Simikot Kailash Tour depending on group size like if there are below 5 we provide a Jeep, if 5 to 08 we provide a Van, if 08 to 16 we provide two vans, if above 16 up to 25 people we prove a deluxe bus. Upon your arrival at Kathmandu International airport, one of us from Alpine Eco Trek will greets you and transfer to your respective hotel in our private tourist vehicle. We will provide you with detail briefing about the trip and necessary stuffs that you will need during journey. Overnight at Hotel. Day 02: Half day sightseeing of Kathmandu and trip preparation. Our day begins with the half day sightseeing of the city. First, the breakfast will be provided in the hotel and then continue for the sightseeing tour in Kathmandu. You will visit some famous sites such as Pashupatinath Temple and Budhanilkanth Temple. These temples are most significant holy temples of Nepal in regards to Lord Shiva & Vishnu respectively. We will also visit some UNESCO World Heritage sites and Kathmandu Durbar Square. Afternoon return to your hotel for lunch and free time can be used for personal activities and other pre tour preparation. Dinner and overnight stay at hotel. After exploring Kathmandu and collecting the trip documents and visas from authority, we will fly to Nepalgunj by domestic regular plane. Upon arrival at Nepalgunj airport we will be transferred to our hotel and our tour leader will brief us about next day's activities. Rest of the time will be spent resting and relaxing. Overnight at hotel. After breakfast at Nepalgunj hotel, we pack everything and board on a 40-minute flight from Nepalgunj to Simikot and appreciate the beauty of the soaring mountain cliffs from the airplane. Simikot is the head quarter of the Humla District and is still untouched the rest of the country due to its remoteness. Here, we will enjoy the unique and Tibetan influenced culture of locals and their lifestyle. Then we will have our lunch in Simikot and also register for the permit at the police office. From here, we ascend for a while, then descend towards the village of Tuling and continue walking through jungles and villages along the Karnali River towards Dharapori. Overnight in Dharapori. Overnight under tented camp. After breakfast at camp, we pack and ready for today's pleasant walk which is mostly flat trails that begins with the trail alongside the Karnali River. Then we walk along the fields cultivated mainly with barley, buckwheat, rice and potatoes. On the way we can see two hot springs near Kermi where we may soothe our aching bodies. Here we can also visit ancient Buddhist monasteries close to Kermi, Laikyo Gompa and Lhundrup Choeling Gompa. Overnight in Kermi. Overnight under tented camp. After breakfast, we enjoy a flat trail for a while and steep climb until it reaches a small pass and crossing a suspension bridge over the Salli River. From here you can enjoy the views of the beautiful alpine trees and the mighty Karnali River valley. We will also visit the old and isolated Namkha Khyung Dzong Monastery. Overnight in Yalbang. Overnight under tented camp. After breakfast at camp, we start will walk on a trail today above the Karnali River and as we ascend further, the greenery begins to disappear and so do the smaller bushes. After reaching Tumkot, we will visit Dhungkar Choezom Monastery which is one of the most important Sakya monasteries in the Tibetan region. Overnight in Tumkot under tented camp. After breakfast, we start today's trek which is comparatively easy trail above the Karnali River. After hiking a few miles we begin to notice the change in climate, vegetation and scene which becomes more barren, rocky and isolated. Overnight in Yari under tented camp. We then cross the first pass of the trek today, the Nara La pass (4,620m). The vegetation is miserable by now and the landscape is acquainted to that of Tibet. Upon crossing the pass, we will be received by excellent views of the beautiful Tibetan plateau and Yari Village. From here, it is a difficult descent down until Hilsa, a border town which is also a dropping point for the pilgrims on their way to Mt. Kailash by helicopter. Overnight at guest house in Hilsa. After breakfast at Hilsa, we trek across the Friendship Bridge at Hilsa where the Tibetan authorities will check our permits, visa and passports. We also meet our Tibet guide over here. After finishing official tasks we ascend from Hilsa to Purang and pass Rinzin Zangpo Gompa and Kangje Village along the way. In Purang, we visit the ancient Purang monastery and explore the unique Buddhist frescoes of 8th century. Overnight at guest house in Purang. After breakfast, we begin our journey to Montser, on the way we pass through Rakshes Tal and Manasarovar Lake. After reaching Montser we take a rest for a while then visit Tirthapuri. Situated northwest of Mt. Kailash, the Tirthapuri Hot spring is closely associated with Padmasambhava (GURU Rinpoche). Pilgrims take a dip into the pools fed by the springs, visit the monastery containing the Guru's footprint and dig for healing stones along an hour pilgrimage route. After exploring this revered site we return back to Monter to spend the night at guest house. Today, we begin our Kora of Mount Kailash, the day starts with trekking from the Sershong and a steady walk with many other local pilgrims chanting and praying. We can see the Chuku Monastery up on the hillside from the valley. Then the trail leads to few ups and downs till we reach our camp at Derapuk where we will see many more Bon pilgrims circumambulating in the opposite direction (Anti clock-wise). Overnight at mud house or fixed tent accommodation. 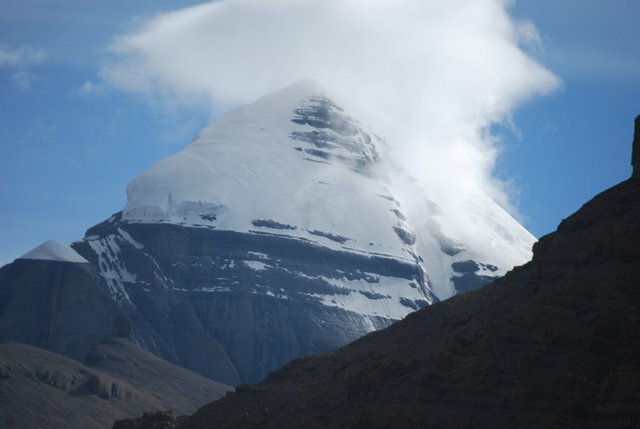 Today our trek leads to much higher altitude of the holy path just beneath the Mount Kailash. The hiking will bring us to one of the highest point at Drolma La Pass, and the pass is quickly descends to the gradual field towards Zuthulpuk monastery. In Tibetan it means magical cave. This small monastery is connected to an interesting story of talent competition between Great Yogi Milarepa (Buddhist) and Naropa (Bon). Rest of the night we will spend here. Overnight at mud house or fixed tent accommodation. After breakfast, we gradually wind out of the valley towards Barka plain. After completing the holy Kora of Mount Kailash at Darchen, we drive to Mansarovar Lake. The lake holds religious significance for both Hindus and Buddhists. As per Hindu theology, Lake Mansarovar is a personification of purity, and one who drinks water from the lake is believed to go to the abode of Lord Shiva after death. Buddhists also associate the lake with the legendary lake known as Anavatapta in Sanskrit where Queen Maya is believed to have conceived Buddha. Overnight at guest house in Manasarovar. Today, we will accomplish a long drive from Mansarovar Lake to Saga traversing through the sacred historic Chiu Monastery. We continue driving past Hor Quo and across the Mayum La pass (5,200m). While passing through, we will have glimpses of small towns like Dongba and Paryang. This journey covers 270 km from Mansarovar to Paryang and connects Saga, 255 km away from Paryang. From Saga instead of going towards Lhasa, we drive along a different route to Kathmandu. Overnight at guest house in Saga. At our return journey, we cross the Yarlung Tsangpo or Brahmaputra River and then drive to Nyalam. At the first pass we stumble upon Paigu-Tso, a huge lake with Mt. Shishapangma (8,027m) at its background. We also get a glimpse of Mt. Everest as the road climbs the Lalung La Pass (5,124m). After crossing yet another pass, Tong La (5,120m), we finally reach the border town Zhangmu. Overnight at hotel. After breakfast at hotel in Zhangmu, we drive to the border check point to go via the custom formalities. Reaching at Friendship Bridge, we will be saying good bye to our Tibetan guide and drivers and will walk for around 10 to 15 minutes towards Nepal. From Kodari, the border town, it takes 5 hours drive to Kathmandu. In the evening, you are invited to celebrate the great and successful completion of our journey with a farewell dinner hosted by Alpine Eco Trek and Expedition. Overnight at hotel. After breakfast you will be transferred to the Tribhuvan International Airport to board your flight back to home. This is an amazing way to end a life-changing journey. Come join us for this memorable trip. 01) All necessary airport arrival and departure, drop, pick up to Nepalgunj and Kodari transfers by a private coach. 08) Freshly cooked vegetarian meals 3 times a day. 09) Supporting Nepali crew including our own cooks. 10) Permits for Simikot, Manasarovar Prikarma and Kailash Kora (round). 11) Tibet Tourism Board (TTB) approved guide. 12) Private transportation in an eight seated deluxe van for clients and small truck for staff and food during the trip. 15) Sleeping bag/ Down Jacket if needed on Returnable basis. 10) Yaks and Yak-men to carry baggage, food, fuel etc while making round of Mt. Kailash. 20) Priest (Brahmin) for Homa. 21) Manasarovar Parikarma by Vehicle. Activity: Trekking and Overland drive.